Our 'recommended' list includes providers of a range of helpful property related services including mortgage brokers, banks, conveyancing firms and more. All categoriesAdvertisingValuersValuersValuersValuersValuersValuersValuersValuersValuersValuersValuersValuersValuersValuersValuersFinance and MortgagesFinance and MortgagesFinance and MortgagesFinance and MortgagesFinance and MortgagesFinance and MortgagesFinance and MortgagesFinance and MortgagesFinance and MortgagesFinance and MortgagesFinance and MortgagesFinance and MortgagesFinance and MortgagesFinance and MortgagesFinance and MortgagesProperty ManagementProperty ManagementProperty ManagementProperty ManagementProperty ManagementProperty ManagementProperty ManagementProperty ManagementProperty MarketingProperty MarketingProperty MarketingProperty MarketingProperty MarketingProperty MarketingProperty MarketingProperty MarketingProperty MarketingProperty MarketingProperty MarketingProperty MarketingProperty MarketingProperty MarketingProperty MarketingProperty MarketingProperty MarketingProperty MarketingProperty MarketingConveyancyProperty MaintenanceHome ServicesConveyancy Only categories with current listings will be shown. We make house call our business! Specialising in Conveyancing, Property Development & Subdivisions, Mortgage Funding Introductions. All in the greater Auckland area! Phone Cheryl Smith on 0800 534 257 today! There are all sorts of helpful resources all over the internet that can make home buying and selling much easier. But that's the problem. They're all over the internet. We've pulled together all of those resources and put them in one, easily accessible place. The House Whisperers provide quality affordable home-staging Auckland wide. We minimise the negatives and emphasise the positive aspects of your home. 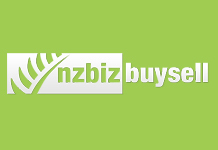 Specialising in pre-loved homes, ex-rentals, refurbished homes and new homes Auckland wide. Owner, Ian Morrow has been specialising in preparing property for the market and renovating property for over 20 years. From personal experience Ian can offer professional advice in property preparation and maintenance. 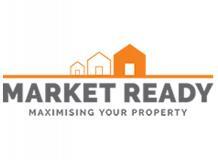 Market Ready can do the job by providing quality house washing, water blasting, painting and gardening services. Make your property stand out clean and shiny with no dirty, dusty, slippery, moss or mould surfaces. 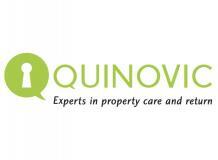 Quinovic is New Zealand�s largest private residential property group, with 25-plus years� experience, 27 offices nationwide, and a reputation for getting results. Whether you�re a home owner or a property investor, our team of experts and proven Care and Return systems will help make renting out your property a real success. We have teamed up with HiFX, a foreign exchange specialist, who provide industry leading rates. It�s FREE to set up an account with them and there are no fees when you are transferring money from one country to another. HiFX can give you a quote to compare with your bank and demonstrate how much money you can save. Typically there is a large difference between HiFX and the banks, which can literally save you thousands! Click on the logo to sign up and find up how much you can save! As Conveyancing Practitioners, we specialise in property conveyancing and manage your purchase or sale from start to finish, whilst keeping you fully updated during the process with clear information and prompt efficient service. and selling of New Zealand businesses ranging from $5,000 to $5 million. Check out our site for tools, information, and an extensive range of business opportunities.